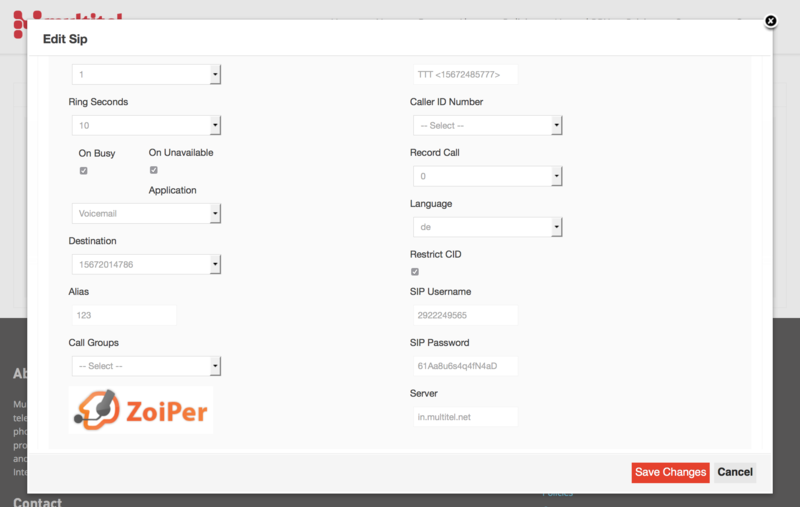 This tutorial explains how to set up your SIP account using Zoiper. First of all you'll need an Android phone with internet access. Second, you'll need to know your SIP username and password. If you still have your Welcome e-mail, the SIP username and password will be shown there. You might see this prompt before installation continues. Please note that you can safely SKIP this step. Please click on "Manual Configuration" and then choose "SIP"
Click "OK" and then, in the next screen, make sure you check "Enable on start" to have Zoiper start whenever you restart your phone. Your account should show green and say "Account is ready"
Please note that dialing out does not require any prefix such as 00 , 011 , 0011 or "+". Just dial the country code followed by the destination number. Same goes for any other country. If you have any DIDs/phone numbers that you would need to ring on this account, now's the time to do it. Notice that we are setting up the "Call Action" to be "SIP Account" .